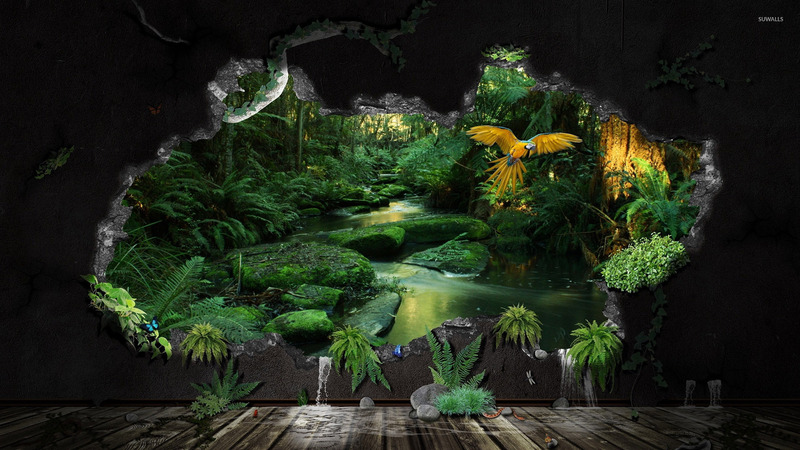 The jungle behind the wall Fantasy desktop wallpaper, Butterfly wallpaper, Snake wallpaper, Parrot wallpaper, Bird wallpaper, Water wallpaper, Tree wallpaper, Wall wallpaper, Jungle wallpaper, Fantasy wallpaper - Fantasy no. 34640. 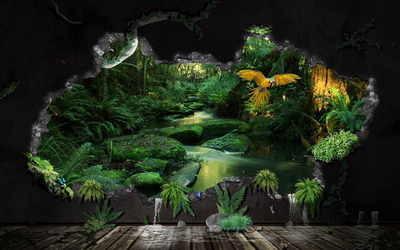 Download this The jungle behind the wall Butterfly Snake Parrot Bird Water Tree Wall Jungle desktop wallpaper in multiple resolutions for free.